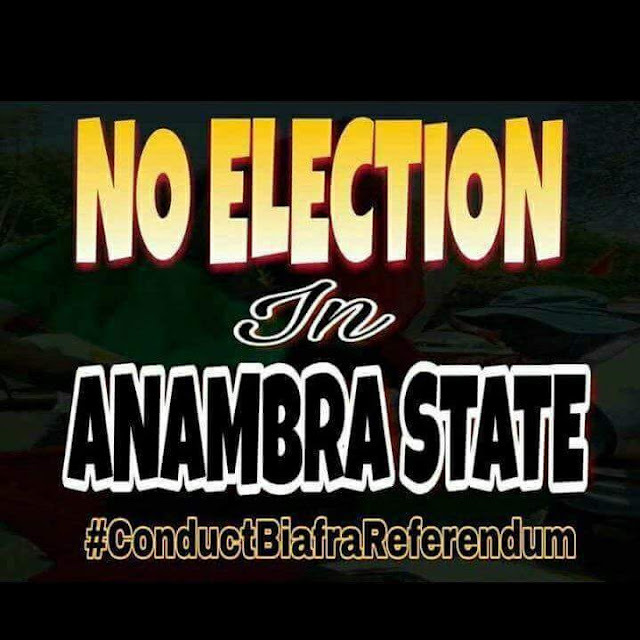 Anambra: Following the declaration of election Boycott by the indigenous people of Biafra (IPOB), there have been rethorics and insinuations on the possible negative effects of the failure of election boycott on IPOB. Some unscrupulous and ill informed individuals have maintained that the people of anambra have to defy the IPOB order and vote in order to disgrace and silence IPOB. It is quite disheartening that a man who has spent the better part of his life in Nigeria in such a miserable condition would rise and claimed he will shame someone through the votes he has casted all his life. For decades, Nigerians have voted with passion and patriotism in the quest to better the the lives of the people and build a greater future for the generations following them. Will it then be logical if a dead Nigerian wakes up tomorrow and seeing the level of decay in this country which he had voted for years to be better, laugh and shout in joy claiming his votes had really impacted lives? How do you tend to justify your claim that your voting was a victory over IPOB rather than victory against self-wellness if after years of voting there is still no free education for your children, grand children and great grand children? How would you justify your claims if hunger persists in the land, if medical attention remains for the rich, if good road free from potholes remains an illusion after years of you voting? Historical approach to the study of political theory made it clear that for proper assessment of what the political future is likely to be, we must as a matter of intellectual importance and wellness be able to cast our mind on the results presented by history pertaining to a certain condition. There had never been a case of historical fact that gives a different result from a particular approach. Time to think deeper dear fellow Anambrarians, when few people filled with hatred borne out of envy for Mazi Kanu try to force the sweet pills down your throat that a vote for any political party is victory against IPOB and victory for your wellness. Any vote you casts is a victory over the destiny of your generations yet unborn (don't get me wrong), it is a vote for the continuation of corruption and bad government over your destiny. As you cast that vote, be sure that complaints over the hike of school fees continues after, bear in mind that stomach infrastructure even will continue dilapidating, be sure that your voice ends after that vote just as they go to share the loot. 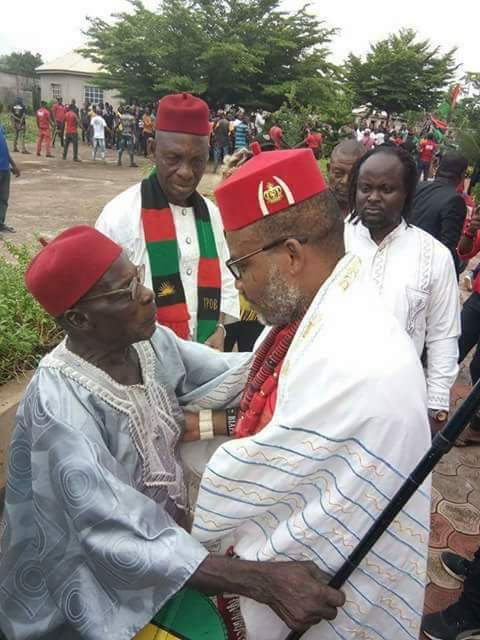 We are talking about those men that gathered in Ebonyi to confer CHIEFTAINCY TITLES on a man that has visibly shown his hatred against Biafran (Igbo) people. Do you still need God to come down from heaven to prove to you that those men we always queue under the sun to vote for does not have our interest at heart? You still want God to prove to you that he is God after showing you who they really are? Your vote is your power to change the ugly destiny imposed on you by the political class. The best way to use it is to decide not to give them the authority to dictate for you any longer. Silently pass a vote of no confidence on them.